Whether he's your Dad or your baby's Daddy, this is one guy who's worked overtime through hard work and unconditional love to etch his way into your heart. 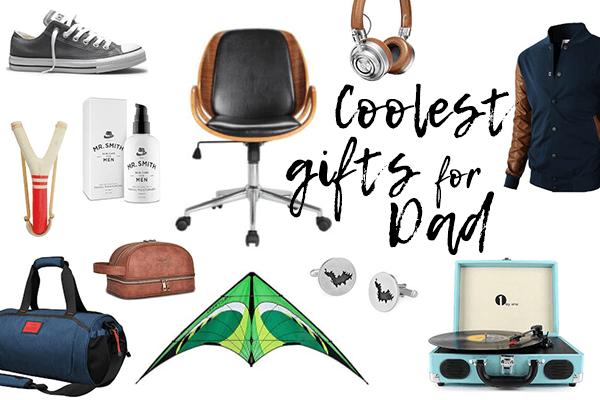 He deserves something incredible for Father's Day, so get inspired by our guide to the perfect presents for every kind of Dad. If Dad has a rough exterior, play into his macho façade with workshop tools, exercise equipment, or a subscription to a cigar-of-the-month club. Vintage toys, candy dispensers, and personalized puzzles are just a few gifts that will bring out the boy inside the man. What's Dad's poison? If beer is his thing, get Dad a set of beer steins or a home brewing kit. If he's wild about whiskey, gift him with personalized miniature oak barrels or whiskey stones to keep his cocktail chilled. Get creative with his favorite liquor. If Dad is a sports guy, home in on his favorite game and get him something to enhance it, like monogrammed golf clubs, a collectible baseball, or a personalized football jersey. If Dad's a total goofball, get him a gag gift, if only to see his face light up in laughter. If Dad's a scholar or a history buff, invest in books or artifacts that appeal to his brainy side. Dad will always be beautiful on the inside, so enhance his exterior with a smart watch, a sophisticated blazer, or a cool pair of shades. Father's Day is coming up, and now's the time to power up your search for the guy who's a powerhouse dad all year. You know the gifts that have been a flop in the past, so chart a new direction. For the dads who love window-shopping in the tech aisle, give him what he wants. 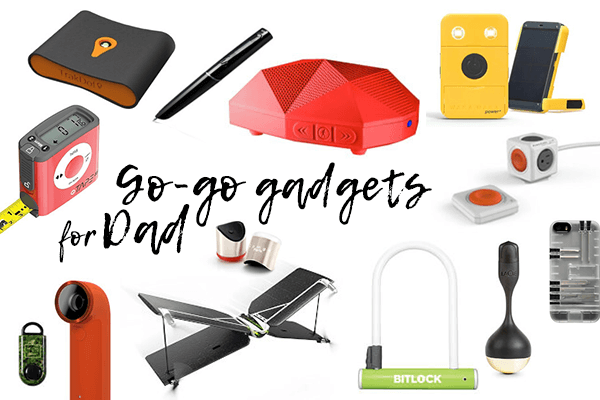 We've streamlined your search with these techie gift ideas that will charge up a smile in Dad, no doubt. Super sentimental, sappy gifts are simply not going to float for your Dad. You know that. So, just because the calendar says Father's Day is coming up, you don't need to get all mushy on Dad with his gift. Play to his personality — and that is his humor. 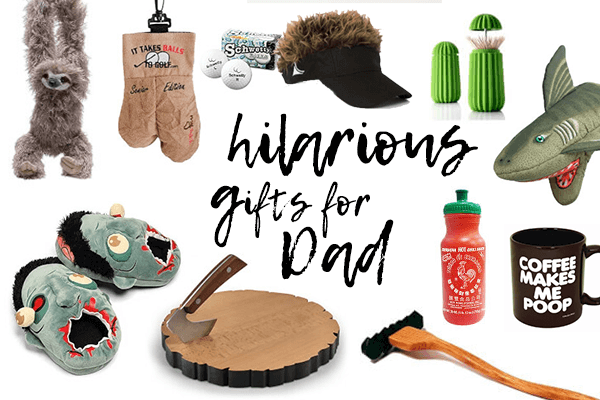 Here is a long list of funny, fun, lighthearted gifts just perfect for your daddio. He might even bust out laughing with some. This Father's Day, let's show Dad that he's one cool cat. What's the best way to do that? Think on gifts that are something he'd never buy for himself, or maybe something he's never even thought about. That's right, it's cool to be different. These gift ideas are not the expected, ordinary men's gifts. Because this year, you want to go with gifts that are better than average for Dad. Get out ahead of Father’s Day so you have something amazing to give all the dads (including your dad, your father-in-law, Grandpa, and your husband). Here’s the trick to nailing Father’s Day gifts for the men in your life. Think about what he already likes or a passion of yours that you want to share with him. Well, we made it even easier. 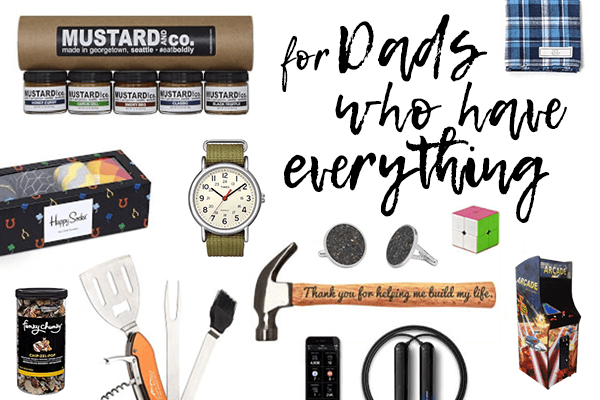 Here's a complete list of dad gift ideas for you — just choose your favorites! That special Sunday is coming up where it’s high time to show Dad how he’s the best dad around. Dads can be less than open about what they like. Yup, they're hard to shop for and can be tough to tap for gift ideas. 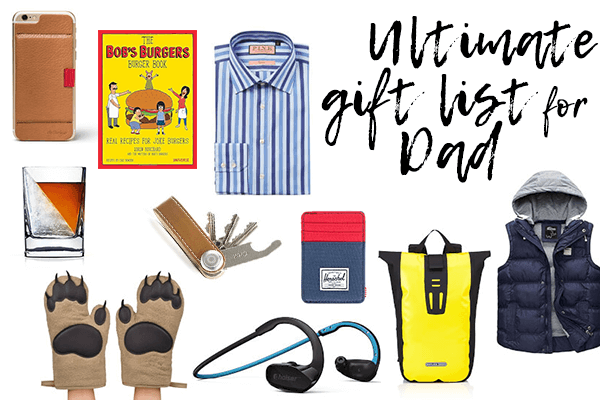 That’s why this massive gift list makes it oh-so-easy to set up Dad with a Father’s Day like he’s never seen before. One that includes more than a card and a hug. One that shows Dad he’s thought of year-round.